What is SkillPay – Good Place For You To Learn Or Not? The SkillPay.com website claims to be a good option for someone who wants to learn how making money online really works. What is SkillPay? A scam? Or is it a legit and good way to learn? Let us find out within this review. Price: Free to try, after that it costs $67/month + upsells! The SkillPay is the former Internet Income University website, and just like the name suggests it is like a school to learn how making money online really works. They put most of the focus on affiliate marketing and Internet marketing in general. That is, of course, great because those methods are by far the best ones to make REAL money online. With REAL I mean A LOT of money. Kevin Blue and Darin Blue are two brothers with more than 8 years of Internet marketing experience, they actually had another name on SkillPay before. It was named The Internet Income University and was also a good place to learn, but it had a very bad reputation for the many upsells, maybe that is why they changed the name? Probably. What SkillPay Can Do For You? SkillPay is a marketing training platform where you can learn to build up your own online business from the ground and up. It is made for people who looking for a way to escape the 9-5 rat race. They make this possible by teaching you how you can actually go into any niche and create your online business around it. The SkillPay tools I see most value in is the Keyword Evolution, it will help you to find keyword ideas within any niche. The only problem is that you can get this kind of tools (for free) on other places, so it is nothing that is unique for SkillPay to have. Another tool you will find inside SkillPay is the Google Keyword Planner, important to mention here is that many Internet marketers don´t even use this tool anymore, simply because it is not accurate and specific. This is actually not bad at all, but again you can get BETTER on other places. So is SkillPay a scam? No, absolutely not. All techniques they teach are real and also VERY good ones. It will also teach you the effective and proper marketing strategies for ANY niche you want to enter, or are already in. But there are better options that SkillPay. 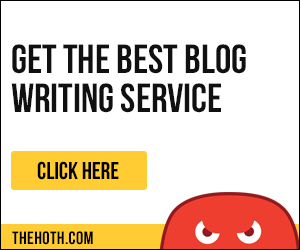 Click here for a much better option that will teach you the same things. There is a lot of good stuff you will get from SkillPay. However there is some bad to, especially one thing is VERY bad. Below I have listed them. The premium upgrade is slightly overpriced, $67 per month is a little bit to much. SkillPay was named Internet Income University before it changed name, (IIU) had a very bad reputation because of the many upsells! SkillPay is not a “get rich quick scheme” and if you are looking for that this is not going to be anything for you. On the other hand if a “get rich quick scheme” is what you are after there is a big risk you gonna have to look for it all your life (they don´t exist) and most likely get scammed MANY times to. SkillPay is a legit program that works but you are gonna have to put time and effort learning the stuff provided to you in the platform. Internet marketing is the absolute best way I can think of to escape your 9 5 life. This is exactly what SkillPay will teach you. So if that what you are after it might actually be a very good idea for you. But, then again… You got much better options to learn all this. Read this review for the best place I know of. There is no doubt that SkillPay is not only legit but also a very good “school” to learn how Internet marketing works. I would have given at least 8/10 in overall verdict if it wasn´t for the MONSTER upsell on $10,000! I mean what in the name of the lord is that??! The rating on that one I give 0/10 (and less). UPDATE!! 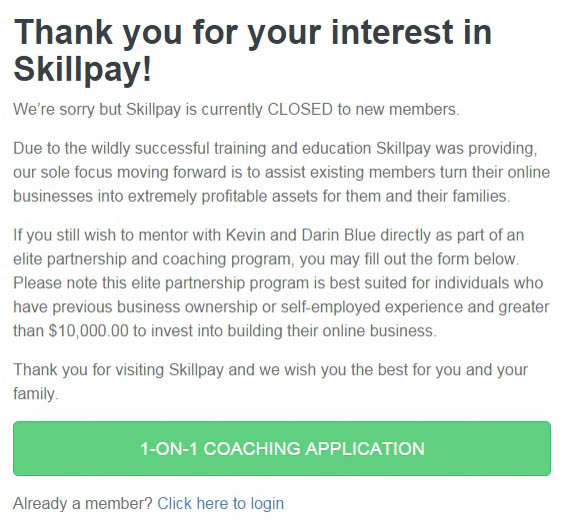 SkillPay Don´t Accept ANY new members, unless you pay the $10,000!! Click the link below to see what I am talking abot here! 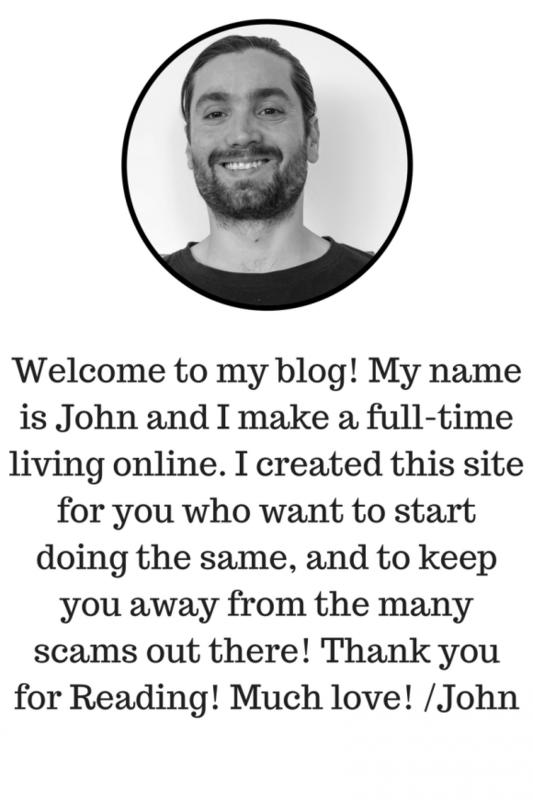 Click Here To Read The Review On The Best Internet Marketing Platform On The Planet! I hope you found this review of SkillPay to be uesfull and now you should have a better understanding about what it is and what it is all about. If you have tried it please share your experience with us in the comment section, also if you got any questions about this review just leave them below! I wish you the best and a lot of success in whatever you do in life!